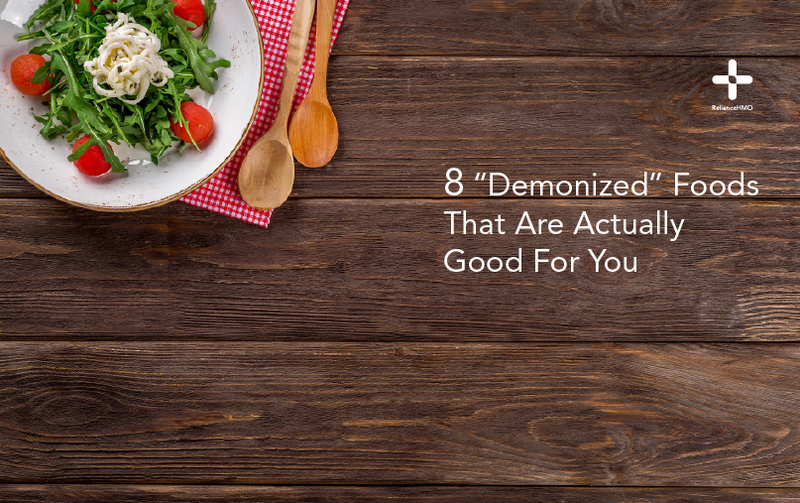 Have you ever heard that you should avoid some certain types of food, these types of advice are based on false nutrition information. Some foods considered unhealthy are actually really healthy, they’re just criticized blindly. Coconut oil was commonly used in cooking and food packaging until the concern that its saturated fat might cause heart disease led food manufacturers to replace it with hydrogenated vegetable and seed oils. However, several studies have found that the consumption of saturated fat has no connection with risks of heart diseases. On the contrary, it actually benefits the heart. Coconut oil contains medium-chain triglycerides, which may help protect heart health, suppress appetite, increase metabolic rate and promote weight loss. Unprocessed meat is a great source of untainted protein and an essential part of the modern diet of people. It’s what allowed people to grow taller and develop larger, more complex brains. Animal protein, including meat, is credited with improving muscle function. Unprocessed and properly cooked red meat isn’t strongly associated with increased disease risk. In fact, it’s an excellent source of high-quality protein, iron and other nutrients. The regular intake of coffee may improve mental and physical performance, boost metabolic rate, decrease inflammation and reduce the risk of several serious diseases. Coffee also protects the liver from infection, reducing the risks of liver diseases and slowing the progression of chronic hepatitis. Although certain people with health conditions have salt restrictions, it may lead to problems in others. However, salt is a critical electrolyte needed to maintain fluid balance and keep your muscles and nerves functioning properly. Some studies show that low-sodium diets reduce insulin sensitivity and increase cholesterol levels in healthy people. Some people can benefit from a low-sodium diet, but not everyone should be restricted from sodium. Naturally, people wouldn’t see chocolate as beneficial to the health. Instead it is seen as children food with lots of sugar and calories. However, dark chocolate or cocoa have some essential health benefits that they provide. Cocoa is basically an antioxidant powerhouse, dark chocolate with a high flavanol content may increase insulin sensitivity, decrease blood pressure, improve artery function and protect your skin from sun damage. It is important to look out for dark chocolates with at least 70% cocoa content to access these health benefits. Shellfish are excellent sources of iodine, an important mineral for thyroid function. Despite being fairly high in cholesterol, eating Shellfish is highly unlikely to raise your blood cholesterol. Concerns about the high cholesterol content of shellfish are misguided. Shellfish are a good source important minerals, including selenium, iodine and top quality protein. Shellfish include shrimp, mussels, clams, crab and oysters. Undoubtedly, whole grains are not appropriate for everyone, this includes people with diabetes and people that are trying to maintain a low carb diet. Certain whole grains can have health benefits for other people. In fact, regularly eating whole grains has been linked to reduced inflammation, body weight and belly fat. Oats contain a unique fiber known as beta-glucan, a viscous fiber which may help reduce appetite and promote feelings of fullness. Eating full-fat dairy may also help you gain healthy weight during weight loss and as you grow older. Dairy products contain vitamin K2 which protects the heart and bone health by keeping calcium in your bones and out of your veins and arteries, promote fat loss and decrease loss of muscle mass and strength. Butter, cheese and cream are high in saturated fat.